Weighing yourself can help to track your weight-loss progress. People trying to lose weight often have a love-hate relationship with their scales. Drops in weight can be victories, while fluctuations upward can signal a setback. Weight loss is one marker in the effort to get healthier, but it’s not the only one. This is why health experts may have differing opinions on how often you should weigh yourself. Having a healthy understanding of what the scale can and can’t do for you can help you determine how often you should weigh yourself. Before determining how often you should weigh yourself, it is important to take the right attitude toward approaching the scale. For example, do not punish yourself or give up if the scale does not read what you want it to, recommends Dr. Lavinia Rodriguez, a clinical psychologist specializing in weight management interviewed in “Tampa Bay Times.” Weight loss on a scale is just one way to gauge your success. 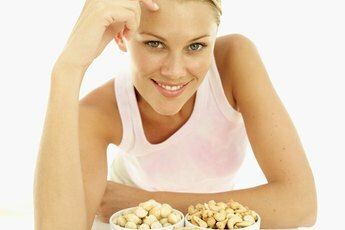 Other positive indicators you are losing weight include having your pants fit looser or feeling more energetic. Having the right attitude means taking a realistic approach. You should not expect to lose five to 10 pounds per week unless you are extremely overweight. Use the scale as a method to help you establish realistic expectations for your weight loss. Dr. Ronald Sha, a physician at the Duke Diet and Fitness Center interviewed in “Time” magazine, recommends weighing yourself daily or weekly to ensure you keep yourself accountable for your weight. Your weight can fluctuate anywhere from 1 to 3 pounds per day, according to Dr. Sha. If you weigh yourself daily, focus on changes over time and work to change your health habits if you experience weight gains that exceed 3 pounds. If weighing yourself daily seems like too much trouble, weigh yourself weekly instead, recommends dietitian Leslie Fink and health writer Elly Trickett McNerney, writing on the Weight Watchers website. Fink and McNerney recommend weighing yourself at the same time each week for the most accurate measurement. If you weigh yourself Monday morning before you have eaten and weigh yourself post-lunch on Tuesday, you will likely weigh more because you have had more to eat and drink. By weighing yourself at a similar time, you can account for these potential fluctuations. In addition to weighing yourself, Dr. Mike Roussell, a nutritional consultant interviewed in “Shape” magazine, recommends using other measurements to track weight loss. These include measuring your waist, hips and chest every two weeks with a tape measure and recording your results over time. These measurements can also help you track your weight-loss progress. 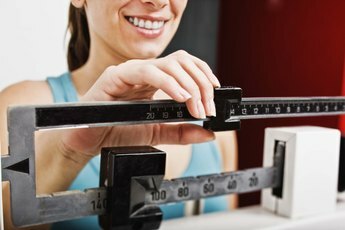 Even if the scale doesn't reveal losses, you may find you have taken off inches from these measurements. 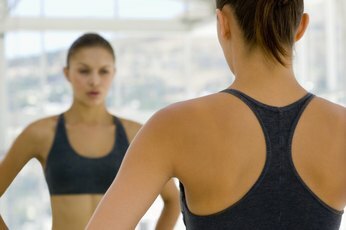 Tampa Bay Times: Weight-Loss Tips: How Often Should You Weigh Yourself?